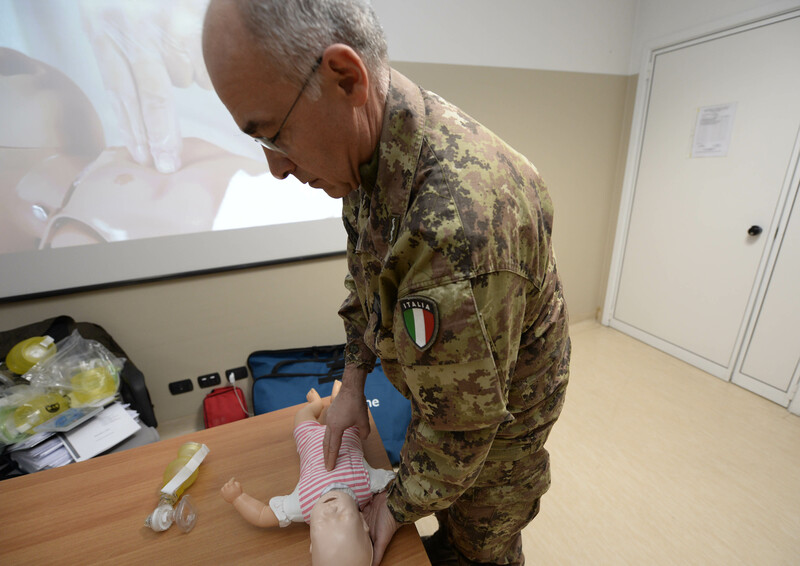 Today 11 December 2015 is the closing day for the BLS-D (Basic Life Support-Defibrillation) instructors’ course. 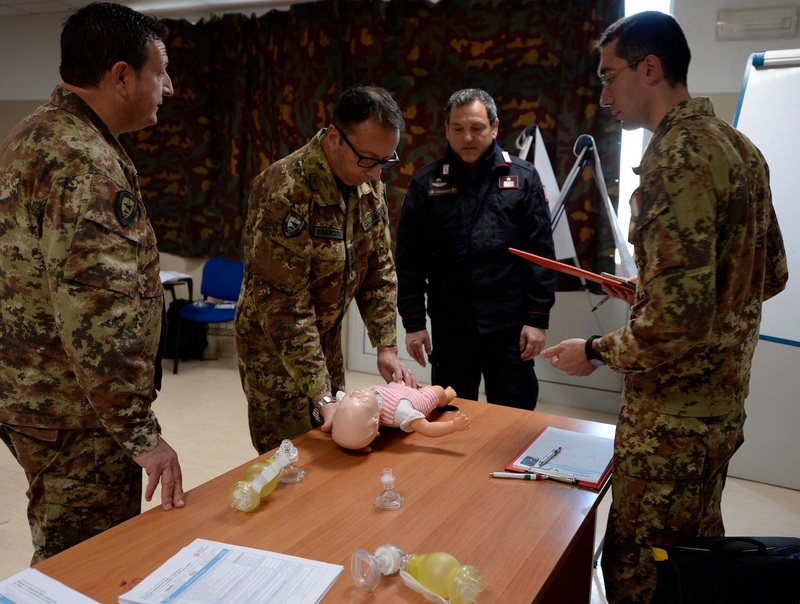 The training was aimed at showing the set of life-saving maneuvers to be performed in case of cardiac arrest, including the use of new devices, like the automated external defibrillators (AED). 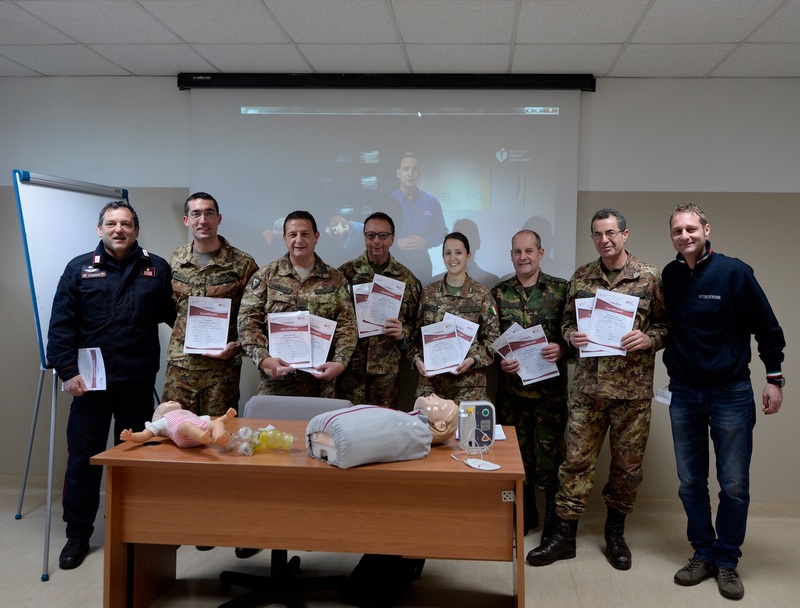 The instructors team was composed by personnel coming from the "American Heart Association", an organization that is working on the reduction of the number of victims from heart disease since 1915. 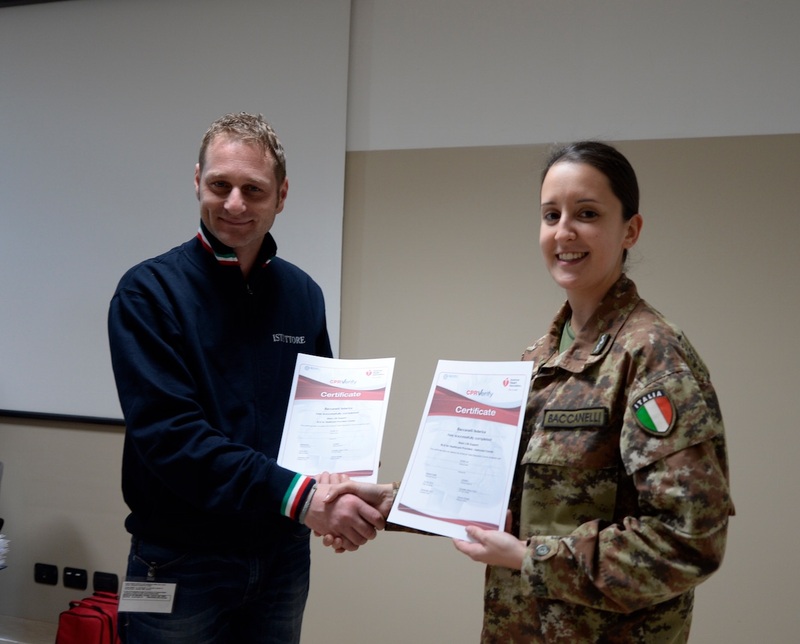 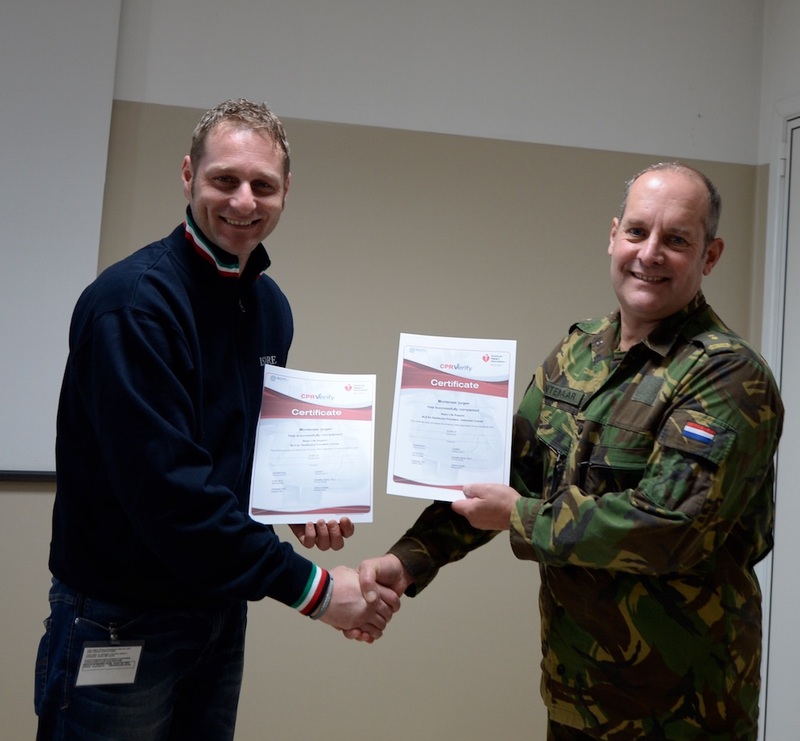 The course has given NRDC-ITA the possibility to enable 8 new military rescuers, among the italian and international Staff serving at the HQ. 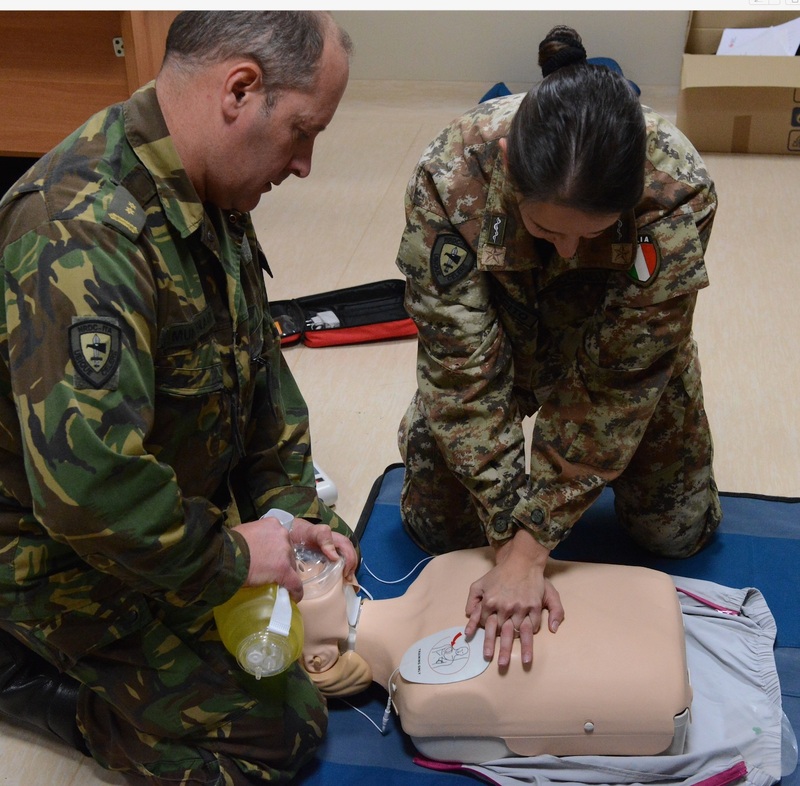 "Our commitment to this training is aimed at making our barracks a safer workplace," said Col. Michele Tirico, Chief Med/Medical advisor. 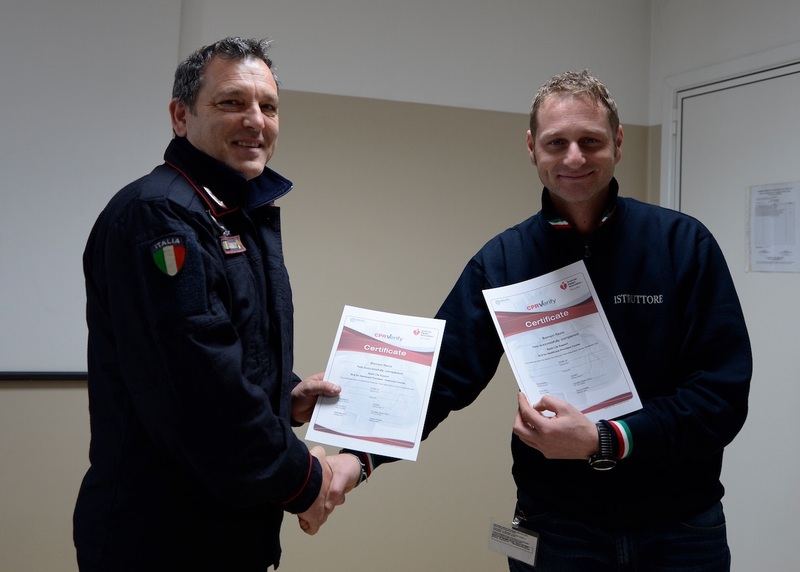 The recently acquired and certified BLS-D instructors, will soon be able to organize new courses to spread the necessary knowledge in order to provide timely and effective help to all the people in need.